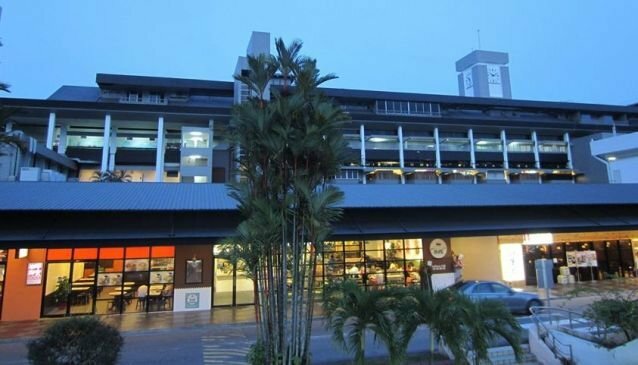 The largest family lifestyle complex in the Bukit Timah area,The Grandstand is a point of focus for recreational activitiy goers, avid shoppers and hungry diners. If you ask the taxi driver to take you there, you'd better mention the name of Turf City as It use to be the former Turf Club that welcomed horse racing spectators. It's now a very popular family lifestyle destination especially since its recent facelift. Surrounded by nature sport fields such as soccer, rugvy, baseball and golf, The Grandstand spans not less than 1 million square feet housing an eclectic mix of retailers, dining and services outlets, kids' activities clusters, and one of the biggest pre-owned car mall. The North Grandstand comprises 7 levels while the South Grandstand comprises 6 levels, both dedicated to accommodate everyone's needs. If you're looking to shop, dine or simply sit back and relax, here's a relaxing place to spend quality time with family, friends and colleagues.